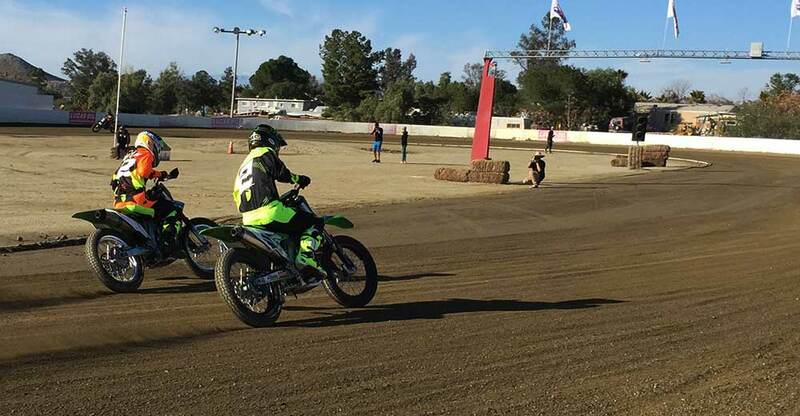 Yesterday I was invited by Bryan Smith to a private practice hosted by Kawasaki USA at Perris Raceway. 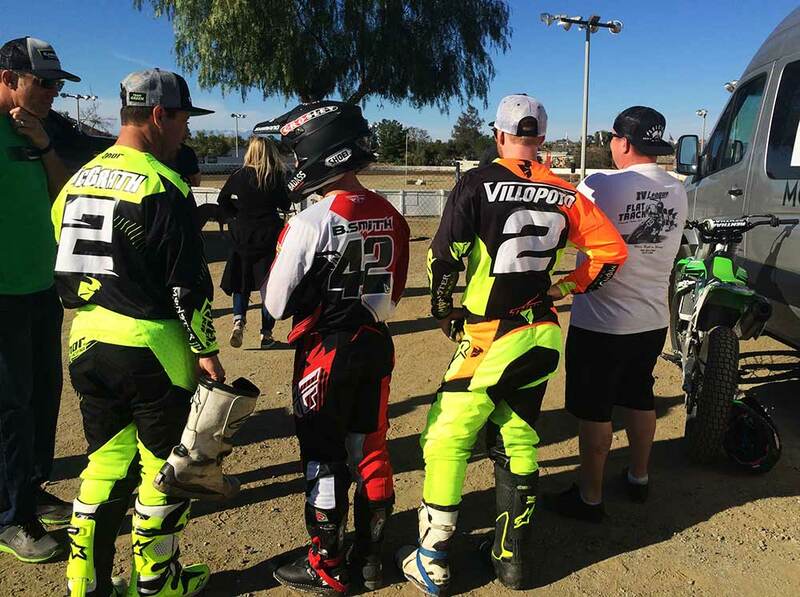 Upon my arrival, I found that Supercross legend Ryan Villopoto was geared up with a borrowed shoe. The superstar on a green machine was green indeed. The first few laps I noticed elbows down with a steel shoe pointed at at the front of the motorcycle as if it were a compass pointing north. His hotshoe glued to the ground throughout the entire track. As I watched him exit the track for the first time, he rode up to Bryan Smith and Nick Wey to discuss the first session. Simultaneously a big white truck containing two more green bikes pulls into the pits. 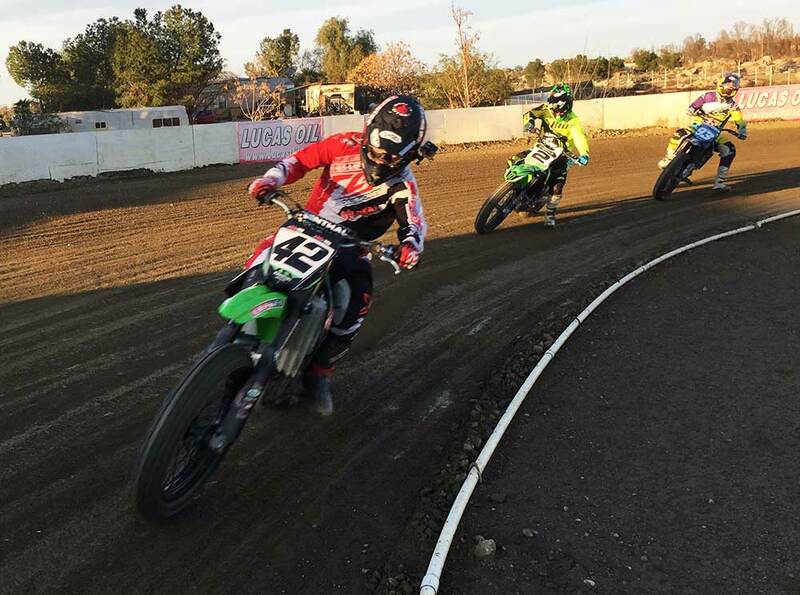 To my surprise, Jeremy McGrath steps out excited to jump on the dirt track. Borrowing a boot and shoe from my friend Cam Brewer, McGrath gears up and hits the dirt. No astonishing results as McGrath exceeded my expectations. 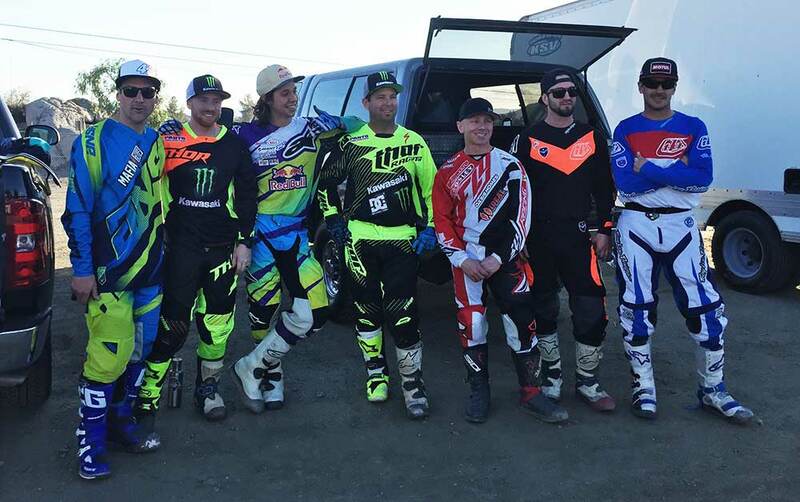 Villopoto and McGrath running around with Bryan Smith, Kayl Kolkman and Aaron Colton was actually happening in front of my very own eyes. The last hour of the day, Team Green really had it dialed in. Villopoto corrected his foot placement, his elbows were up and the routine was an example of perfection. It's in my best of hopes that these two will be in our world for a long long time. Let's hope that the social media explosion that occurred yesterday carries new eyes into our beloved sport!